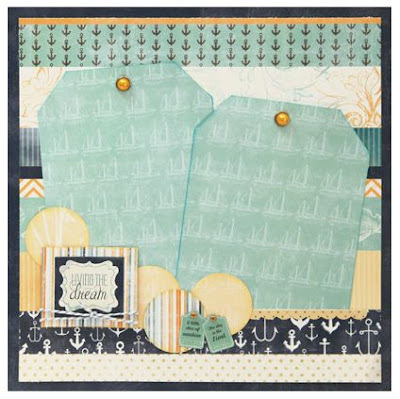 Crystal here hosting the blog today and playing along with this month's September Club Q. This month's layouts are fabulous and I decided to go a bit of a different route with my Club Q. This month Quick Quotes debuted some new lines and I must say they are fabulous! The new line of paper for this month's Club Q is called Anchors Aweigh. It's not yet available to purchase on the site, so be sure to sign up for Club Q! Wood Veneer inked with PowderPuff Chalking Inks. Are you in love yet? !